After a series of top 40 misses, it was this that brought Diamond back into the 20’s on the Hot 100 and would lead to the Platinum selling followups “Sweet Caroline” (#4) and “Holly Holy” (#6). No word on his live plans thus far for the new year. The original by the English group was their third top ten hit in America and first of the 70’s. Diamond’s remake was featured on Tap Root Manuscript. “Heavy” was also a U.K. #1 last year as a charity single from The Justice Collective. Before Rogers became a top-selling Country star of the 70’s and 80’s, his band was big on the pop survey with a handful of charting singles beginning in 1967. This was their penultimate top 40 entry and the group would eventually split by 1976. It was yet another hit for The Godfather Of Soul and did even better on the R&B survey, where it peaked at #2. The two part record is about 5 1/2 minutes in total and both sections were credited when it charted. Brown passed away in 2006. Bringing the soul of Detroit to the charts, this American band ranked three songs on the Hot 100’s top 40 between in 1969 and 1970, this being the last of the three. It also made the top 20 on the R&B chart in 1970. The band is no longer together. Signed to Motown Records, the band was the label’s first all-white act to find success on the Hot 100 with three top ten singles in 1970-71. This was their last record to make the top 40, and they continued to chart through 1978’s “Warm Ride”. The quartet from New York City had a big #1 in the States with a song that originally went to #7 in the U.K. for Hot Chocolate. The driving force behind it was its theme: an interracial relationship between a white male and a black female. This was the followup to “Gypsy Man” (#8) and the second single from the top ten album Deliver The Word, which was certified Gold. The funk rock band last made the top 40 in 1978, though they are still together today under a varied lineup. 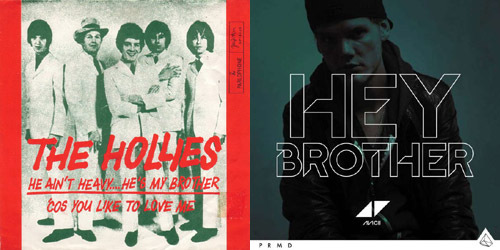 For more on that brotherly love and other singles from the siblings that sing, follow the blog below or hit the “Get Social!” tab to find out how you can connect with PGTC on social media.